Back pain is something almost everyone can relate to. In fact, it’s estimated that eighty percent of Americans will feel the debilitating effects of back pain at some point in their lives. This makes it one of the most common injuries and causes of pain in the 21st Century. And once you injure your back once, it doesn’t take much for the issue to turn chronic. Problems with your back can arise seemingly anytime. It’s one of the rare conditions that can be caused by both activity and inactivity. It can be caused by sitting too long at your computer, when you twist your body to make a game-saving interception in your weekly flag football game, or even when you’re working out in the gym. 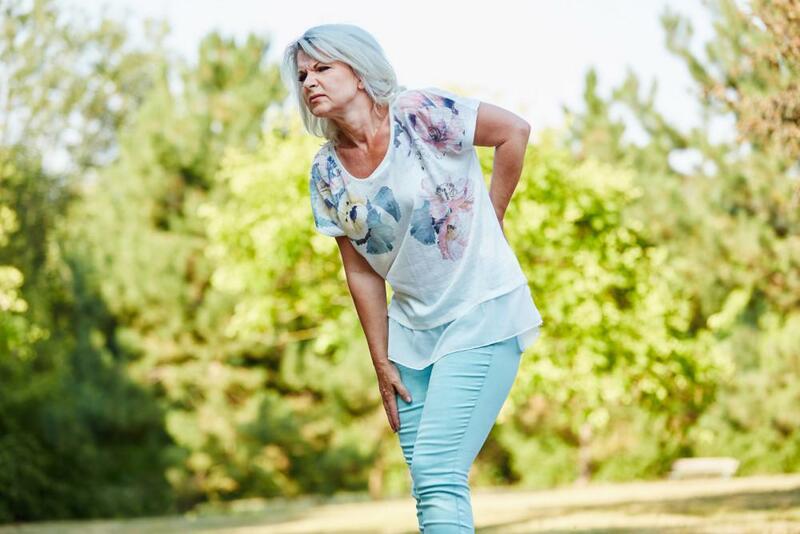 With over three out of four Americans developing issues with their back at some point, it seems almost impossible to escape the cruel fate of back pain. But whether you realize it or not, your back health is in your control. With a combination of strengthening and stretching exercises, you can build your back up to resist injuries. If you’ve dealt with back pain in the past, are dealing with it now, or if you just want to prevent it in the future, these exercises are for you. Bird Dog: Start on your hands and knees. Squeeze your abdominals and breathe in as you extend your left arm forward and right leg back to be parallel with the ground. Hold this position for about five seconds, before returning to all fours. Then lift your right arm forward and left leg backward and hold. Return to starting position and repeat for five repetitions for each side. Side Plank: Start on your side with your feet together and your forearm on the ground right below your shoulder. Tighten your abdominals to form a straight line from your head to your feet. Keep your hips up and hold this position for thirty seconds to a minute for each side. Then repeat two to three times. Bridge: Start by laying on your back with your legs extended on the ground and arms at your side. Bend your knees and bring your feet in towards your body so they’re laying flat on the ground and your knees are shoulder-width apart. With your arms at your side and palms facing down, push your feet into the ground to lift your hips off the ground and towards the ceiling. Flex your glutes and hold this position for up to thirty seconds before returning to the ground. Repeat two to four times. Superman: Start by lying face down on your belly with your arms in front of you and your legs extended on the ground. Breathe in as you lift your arms, legs, and chest off the floor at the same time. Squeeze your lower back and exhale as you hold this position for up to five seconds. Return to the starting position and repeat three to four times. Knee to Chest: Lie on your back with your feet flat on the floor and your knees bent. Grab your knees with your hands and roll onto your back as you use your arms to pull your knees to your chest. Tighten your core as you press your spine to the ground. Hold this position for five seconds then relax. Repeat three to four times. Cat-Camel: Start on your hands and knees with your back straight and quads perpendicular to the floor. As you exhale, stretch your back by arching it upwards. Take a breath and return to the starting position. Then exhale and stretch your back by arching it downwards. Return to starting position and repeat 5-7 times. Lower Back Rotation: Lie on your back with your feet flat on the floor and your knees bent. While keeping your shoulders square to the ceiling and firmly on the floor, roll your knees to one side and hold for ten seconds. Return to the starting position, then repeat on the other side. Repeat two to three times on each side. Spinal Twist: Start by sitting tall with both of your legs extended in front of you. Bend your right knee and cross it over your left thigh. Then place your left elbow outside your right knee as you twist and bring your gaze over your right shoulder. To support the bend keep your right hand on the floor. Switch sides and repeat two to three times. Back pain can be a killer. But it doesn’t have to be. With the right blend of strengthening and flexibility exercises, you can build your back up to resist injuries. Follow the above routine to stay free and clear of back pain. Are you dealing with chronic back pain? Don’t think these exercises are enough to quell your condition? Click here to book an appointment with our chiropractors to get to the bottom of your back issue.